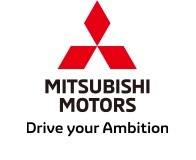 TOKYO, Apr, 12 2018 - (JCN Newswire) - At the 15th Beijing International Motor Show(1), which runs from April 25 to May 4 2018, Mitsubishi Motors Corporation (MMC) will celebrate the China debut of the MITSUBISHI e-EVOLUTION CONCEPT that embodies MMC's new brand strategy under the new "Drive your Ambition" global tagline. The company will also give the new Eclipse Cross, a global strategic compact SUV, its debut in China. These two models, joined by other models on the MMC stand, give an indication of the direction the company is taking today and in the future. MMC will use this model lineup to promote a new kind of driving experience derived from the company's principle strengths: SUV, EV and system integration technologies. MMC is joined at the Show by GAC Mitsubishi Motors Co., Ltd. (GMMC), its joint venture business in China with Guangzhou Automobile Group and Mitsubishi Corporation. MMC brand models on display will be the Outlander and ASX models produced locally in China. GMMC brand models on display include the new Eupheme plug-in hybrid SUV launched on the China market in March this year. MITSUBISHI e-EVOLUTION CONCEPT incorporates the company's strengths in the SUV and EV categories and its ability to integrate new systems for a connected mobility customer experience. The concept model indicates the direction MMC is taking in its car creation and development. Embodying the company's new "Drive your Ambition" tagline, it gives shape to the road performance that defines MMC's DNA and to a new appeal stemming from breakthroughs achieved for the SUV through its marriage with electrification and system integration. To a "Robust & Ingenious" philosophy, the company has created a distinctive and appealing design that impresses on the viewer the robustness, authenticity and well-thought-out functional traits that distinguish MMC cars. MITSUBISHI e-EVOLUTION CONCEPT is an illustration of the company's approach to high performance using the all-wheel control systems that are part of the MMC heritage. Aiming to create a new kind of image for the SUV, the model gives expression to the terrain-hugging performance and high-speed agility that MMC has nurtured in its SUVs over the years in a distinctive and appealing design that impresses on the viewer the robustness, authenticity and well-thought-out functional traits that distinguish MMC cars. The front face sees an evolution in MMC's DYNAMIC SHIELD design with large air intakes for cooling the electric brake calipers located beneath the headlamps for improved aerodynamic performance, and the use of blue lines delineating the area in which the cameras and sensors are located to emphasize the car's advanced nature. The design gives expression to the model's dynamic performance using a profile with strong shoulders and a tumblehome-section lower body, and short overhangs and to the powerful a sharp, sculpted horizontal character line and a high ground clearance. The short overhangs express the car's nimbleness and agility while the muscular styling of the corners hints at the powerful torque the four wheels lay down on the tarmac. The deep slant of the front windshield and the truncated overhangs create the unique silhouette only possible in an engine-less EV. The hexagonal styling which distinguishes the rear draws inspiration from the spare tire cover on the Mitsubishi Pajero - the benchmark of all-terrain performance and an icon in MMC's SUV heritage. The jet tail fin-like design of the C-pillar together with the air intake and diffuser running from the C-pillar to the rear bumper further reduce drag. The cockpit sports a totally new design with a "floating" dashboard, compact instrument cluster, high console that locates most of the switches and dials, and a full-width display. The "horizontal axis" dashboard provides excellent forward visibility while also making it easier for the driver to visually confirm the vehicle's spatial attitude. The full-width flat display, only possible in an engineless vehicle, allows the driver to instantly ascertain all the information required, including images showing the periphery of the vehicle and from a rear monitor, as well as navigation-related details. The full-length side glazing provides virtually unobstructed 360-degree visibility, contributing to safety. The powertrain uses compact high-output electric motors, one for the front and two for the rear wheels, fed by a high-capacity lithium-ion battery system to deliver the kind of smooth and powerfully responsive performance that lives up to the "e-EVOLUTION" name and that distinguishes EVs from ICE-powered vehicles on all types of road. The drive battery is located under the floor between the front and rear wheels, lowering the center of gravity and contributing to better handling and directional stability. The Triple Motor 4WD system employs a single motor to drive the front and a new Dual Motor Active Yaw Control (AYC) unit to feed vectored torque to the rear wheels and is integrated with MMC's own Super All-Wheel Control (S-AWC) vehicle dynamics control system. Together with the use of electrically activated brake calipers, this results in a significant improvement in cornering, traction performance and brake performance as the 4WD system delivers greater control of the torque and braking forces at each of the wheels. The more precise and responsive 4WD system control possible in an EV makes itself felt even at low speeds where longitudinal and lateral G-forces are low. The result, whether in everyday use or when enjoying some sporty motoring, is a safer and more comfortable driving experience with a stronger sense of oneness between driver and car. An on-board Artificial Intelligence (AI) system assists the driver in their operation of the vehicle. Using an array of sensors, the system monitors constantly changing road and traffic conditions, as well as instantly reading driver intent from the way they operate the vehicle. Seamlessly coordinating this data, and regardless of driver ability, the system delivers a safer and more comfortable motoring experience. The AI system also offers a coaching function. After building a picture of the driver's skill level and comparing it with benchmarks derived from its autonomous driving function, the AI system constructs a training program that offers advice using voice dialogue and the dashboard display. The result is that, as well as helping all drivers to have their vehicle handle as they want, the AI system offers coaching suggestions that help the driver enjoy the driving experience far more than they thought possible. The Eclipse Cross is an all-new compact SUV coupe that has joined MMC's global lineup of crossover SUVs: the ASX compact SUV and the Outlander and Outlander PHEV mid-size SUVs. The Eclipse Cross is a fusion of original, sharp coupe looks and dynamic SUV mobility with signature Mitsubishi styling and performance. Other distinguishing features are its design that motivates the driver to get out and go, connectivity that inspires new fun adventures, and all-wheel control technology which delivers an enjoyable, reassuring feel that elevates the driving experience. This coupe-style SUV meets the wishes of those looking to broaden their horizons, to take on new adventures and challenges. Eclipse Cross features coupe lines in a SUV body which embody the very essence of Mitsubishiness. The head-turning styling in no way detracts from its SUV-defining functionality: an excellent field of view thanks to the high hip point and a spacious interior. The Dynamic Shield front design concept, which gives expression to the vehicle's powerful performance and to the protection the front end offers both occupants and itself, is evolved further. Locating the slim, styled LED headlamps and LED daylight running lamps high in the front face, with the turn signals and fog lamps lower down, makes the signals more visible as well as giving the front a sharper, more vibrant image. The wedge shape profile created by the beltline and sculpted character line, the forward-rake rear window, the rear end with its angular tailgate and truncated overhang, the aggressive fender arches projecting the image of a powerful athlete. These design elements combine to produce a sharp, dynamically styled coupe SUV which shouts out loud its Mitsubishiness. The distinctive rear styling is created around the high-mounted, stretched rear lamps and the visual division of the forward-rake rear window into upper and lower halves. The black/silver monotone color scheme, horizontal dashboard and silver ornamentation create a refined interior that is both dynamic and sporty while the Head Up display adds a futuristic look to the cockpit. Maximizing living and luggage space utility without spoiling its stylish coupe-SUV shape, the rear seat uses a 60:40 split with 200mm slide and 9-step recline adjustment. As well as providing rear seat occupants with plenty of legroom, they also enjoy ample headroom despite the cutoff in the roofline. The Head Up Display unit minimizes eye movement and provides easy readability of vehicle speed, data from the active safety systems and other driving information. Navigation adopting the 8-inch thin display is compatible with the "Baidu Car Life" application, so it is possible to operate applications such as maps and music by voice simply by connecting with a smartphone(2). Eclipse Cross uses a 4WD system that feeds the optimum amount of torque to the rear wheels as required by the throttle opening, vehicle speed and surface conditions. MMC's Super All-wheel Control (S-AWC) integrated vehicle behavior control system, which now features brake-activated Active Yaw Control (AYC) management, helps deliver vehicle behavior that matches driver intent. The 4WD system offers three drive modes - AUTO, SNOW and GRAVEL - selectable using the center console selector. The addition of a 3-point strut tower brace at the front and the strategic use of structural bonding at the rear in particular has increased body stiffness. The stiffer body and detail optimization of the suspension deliver precise handling and superior straight-line stability. Eclipse Cross uses a new 1.5L direct-injection turbocharged gasoline engine that delivers the right balance of power and environmental performance through precise control of in-cylinder and inlet port injection to match the driving situation. Being turbocharged means this 1.5L unit can produce more low-to-mid speed torque(3) than a normally aspirated 2.4L engine. Engine response is improved through the use of a cylinder head with integrated exhaust manifold, MIVEC(4) technology on both intake and exhaust valves, and a small turbocharger with an electrically actuated wastegate. (1) Officially the 2018 Beijing International Automotive Exhibition (Auto China 2018). Press days are on April 25 and 26, trade days on April 27 and 28, and it is open to the general public from April 29 to May 4. (2) Some smartphones are not compatible with "Baidu Car Life" application. (3) As measured by MMC. (4) Mitsubishi Innovative Valve lift and timing Electronic Control. Eclipse Cross uses the INVECS-III CVT(5) with 8-speed Sport Mode transmission. In Sport Mode, the close but wide ratio gearing extracts engine performance potential to the full. 'Step-up' shifting control reduces the sensation common to CVTs of engine speed getting ahead of the gears, for a more direct and powerful acceleration feeling. (5) Intelligent & Innovative Vehicle Electronic Control System. Eclipse Cross features truncated overhangs with the wheels located at the corners. And with its ample approach/departure angles and ground clearance, it delivers SUV-signature all-terrain performance in a coupe-styled body.